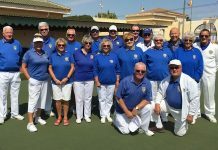 Our 4-2-2 OPEN 8th-10th October was 3 days of hard play with some excellent bowling (mixed rinks, ladies’ pairs and men’s pairs). The winners of each group played off in the semi finals. 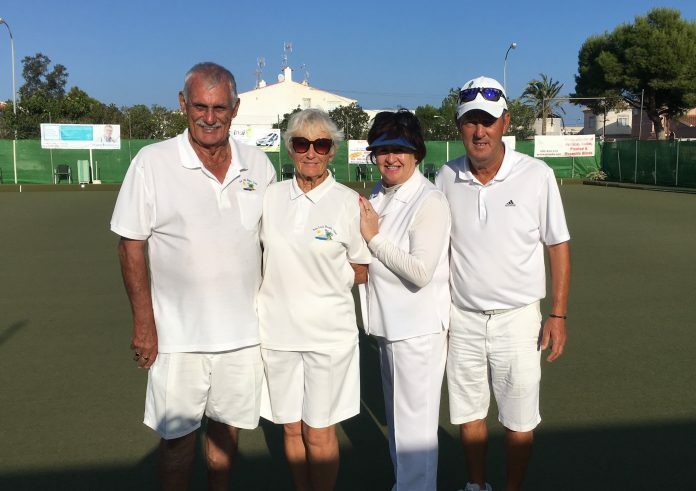 Group A winners: Ian Kenyon, Maggie Furness, Martin & Mo Foulcer lost to group B winners: Keith Jones, Russ & Sabrina Marks & June Jones. 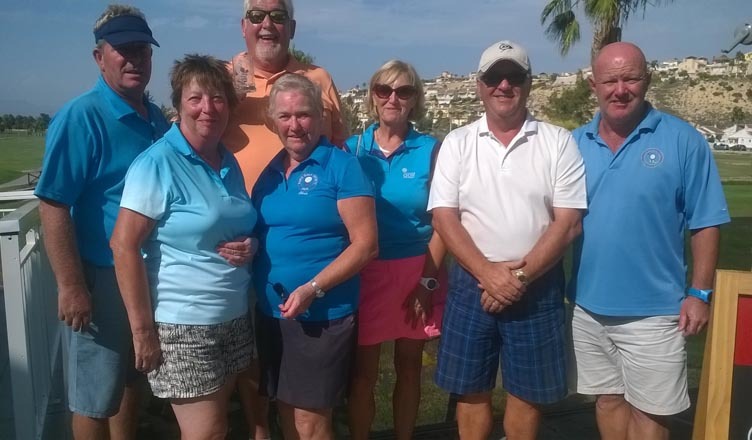 Group C winners: Sue Kemp, Geraldine Fisher, Brian Zelin & Gordon Fisher beat Group D winners: Mal Hughes, Les Bedford, Sheila Cammack & Pam Lockett. In the final Gordon’s (VB) team just couldn’t keep a strong San Luis team at bay, with Keith’s team coming out as winners. Thanks to all the competitors, the supporters who kept the oohs! & ahhs! going, also to Quiron hospital for their health tests input; with a few surprising results. 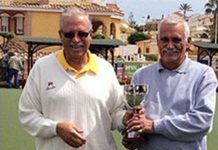 Wednesday 11th Winter League home v La Siesta, but it was not the start to the season we had hoped for, taking only 2 points-10, 64 shots-82. Winners: Kath Reid, Neil Morrison, Scott Malden & Ian Kenyon 19-11. 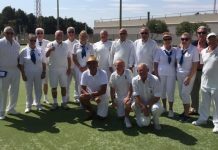 Well done to the Berleen team: Allen Bowen, Jo Pering, Suzi Cooper & Brian Pocock winning 17-11 to take the 2 points. 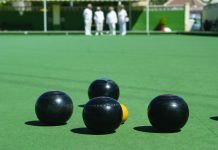 On Wednesday afternoon we had a very enjoyable match against a touring team from Windsor Bowls Club, Penarth. The 7-0 result was good and the company was excellent. 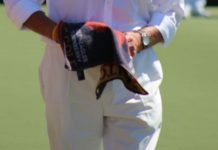 Friday 13th Southern League: Div. 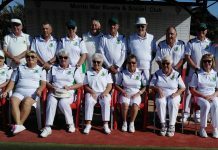 A SL Lions, home v EI Cavaliers had a good result 10pts-4, shots 119-102. 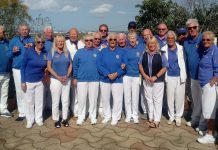 Winners: Kath Reid, Neil Morrison, Ian Kenyon 24-12, Colin Jackson, Keith Phillips, Mal Hughes 24-18, Lynne Morris, Ray Clarke, Tom Hill 25-13, Bob White, Ann Holland, Roy Cordell 19-11. Div. 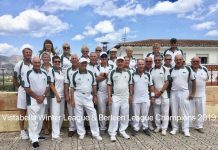 B SL Tigers, away v SM Cougars; a hard fought match with a good result: 10pts-4, shots 116-81. 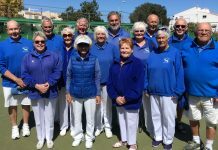 Winners: Allen Bowen, Peter Fuller, Suzi Cooper 17-16, Helen Hammond, Barry Roseveare, Scott Malden 31-7, Judy Carroll, Ray Robson, Derrick Cooper 17-10, Irene Everett, Bill Webb, Vic Slater 21-11. Div. C SL Leopards home v SL Pumas had a great result 12pts-2, 145 shots-70. 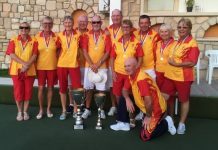 Leopards winners: Marie Henley, Kath Waywell, Bob Bromley 32-11, Derek Barker, Kevin Hull, Ian Ross 18-11, Pat Tilley, Ray Whatmough, Brenda Brown 24-15, Audrey Ford, Margaret Clarke, Charlie Marigold 30-6, Dennis Jackson, Dave Tilley, Caz Blay 23-6. Pumas winners: Chris Lythe, Danny McErlean, Malcolm Ayton 21-18. 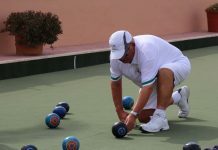 For club information please check: www.sanluisbowls.byethost7.com or contact June Jones, Club Captain: 691903773.